LIBUSB is (usually) needed if you have Smargo cardreader(s). PCSC is needed if you have Omnikey or other PCSC compatible cardreaders. These two options are the most important ones. I, for example, do not use Smargos or Omnikeys on my Vu+ Duo therefore i did not select anything here. TIP: In order to select desired option, you need to press “SPACE” button on your keyboard. 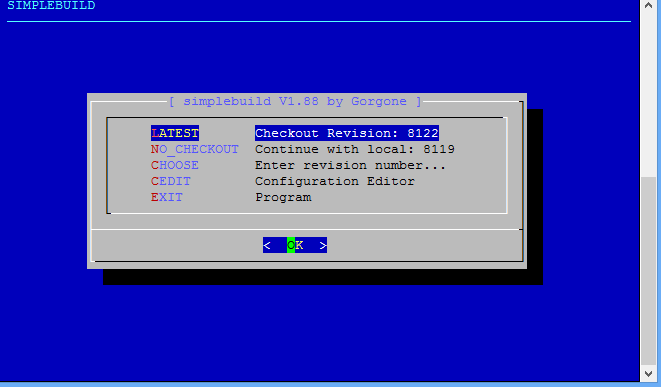 If you want to exit from SimpleBuild, just press button “EXIT”. Gorgone did really great job here and compiling OScam is now easier task than ever. You can compare this process with process which is written in my other compiling tutorials. 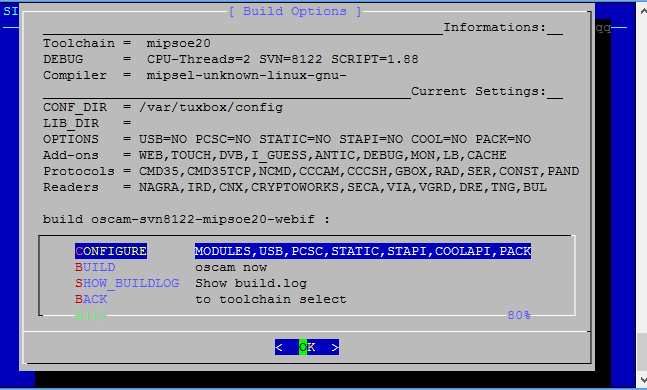 Not only that SimpleBuild is easier to use, you can also easily compile OScam for different platforms, you can select/deselect different OScam modules, etc. 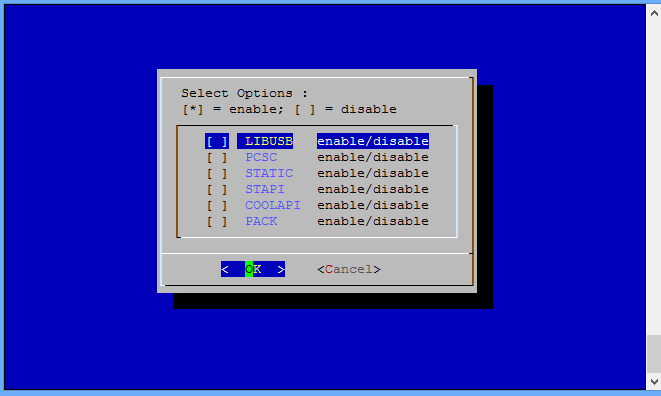 As you can see, this script enables you to configure many many different options. Currently there is nothing better out there! Tutorial about OScam and Gbox is comming soon. 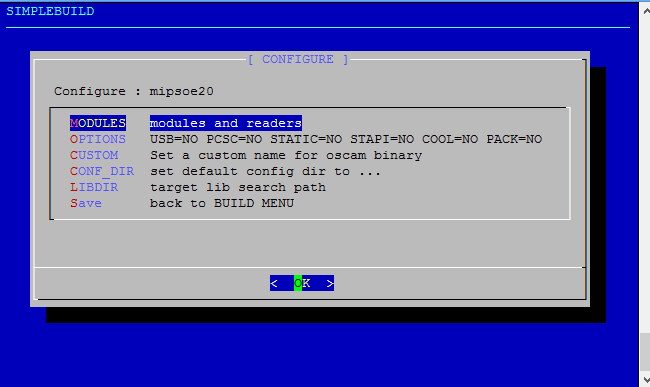 I am waiting for new patches to be added to OScam trunk! 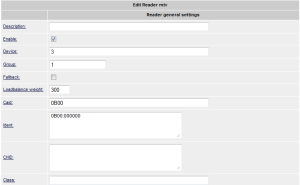 Loadbalancing feature in OScam helps to determine which of the configured readers should be used to serve an ECM request. This is especially handy if you have two identical local cards or large number of cccam/newcamd or other readers. 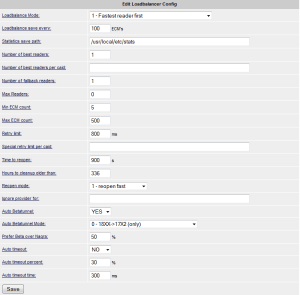 I will present you my loadbalancing configuration that i use on my OScam server. lb_mode = 1 means that the weight for a reader is divided by the average response time of requests sent to the reader, i.e. lower average response time means higher priority. My recommendation is that you use mode 1.
lb_save = 100 means that stats file is updated every 100 ecm. If you have OScam on your PC (more CPU power) than you can decrease this setting to 50 or even lower. If you have OScam on satellite receiver then you should leave default value which is 100.
lb_reopen_mode = 1 is my recommended setting. lb_savepath can be changed. I use /usr/local/etc/stats but you can use something else if you want or need. You do not need to change anything else here. 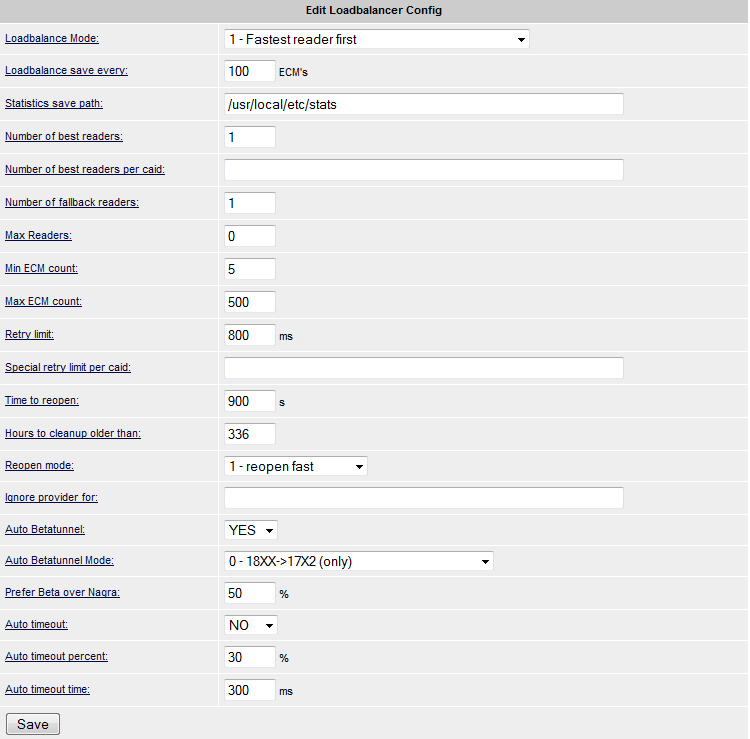 Now you need to visit reader part of WebIF and modify lb_weight value. I suggest that you put lb_weight = 300 if you have local cards. This means that these local cards will have priority over normal readers (cccam/newcamd/camd35, etc.). 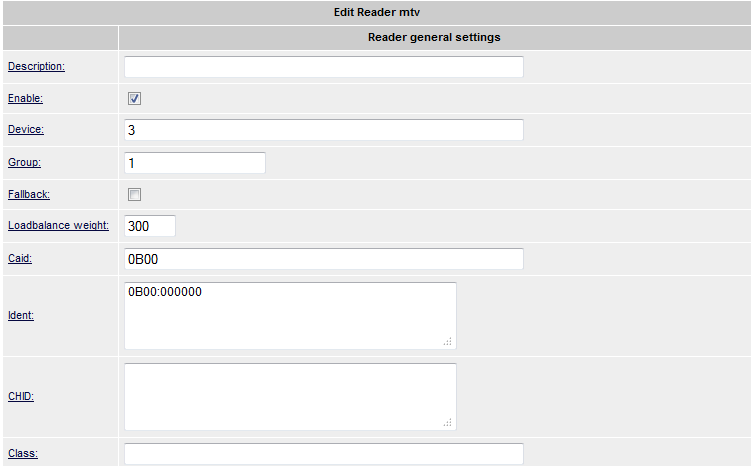 For other readers you can just leave default value which is 100. If you have 0100 Cyfra local card, you probably do not want that OScam uses this card from cccam readers. Well, loadbalancing will help you achieving this goal. I think I covered all loadbalancing basics and you are now good to go. If you have any questions, please use “Contact Us” form or leave a comment!